For the 21st century, Sherwood Scientific updated its Colorimeters and added a software package unique in this class of instrument. The Model 260 Series Colorimeters offer features not elsewhere available and provide solutions to the requirements of quality control, water testing and also the clinical chemist with low sample runs. Both Models can be powered from a 12V battery so can be utilised in locations where the power supply cannot always be relied upon. 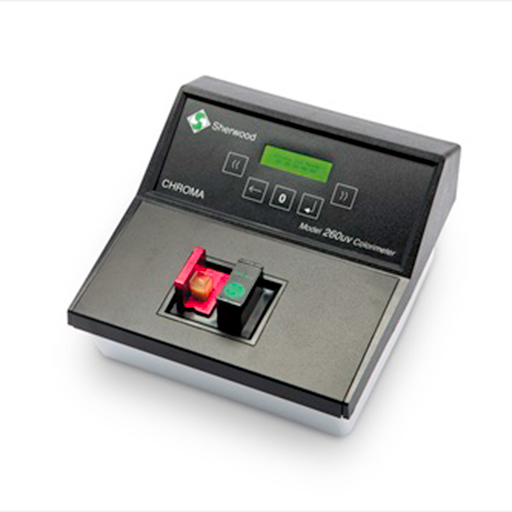 The Model 260 replaces the previous CHROMA Model 257 Colorimeter and incorporates full programmability, allowing up to 100 methods to be installed by the operator. This permits semi-automatic operation; the user need only insert the prompted filter An RS232 output allows the use of a serial printer.